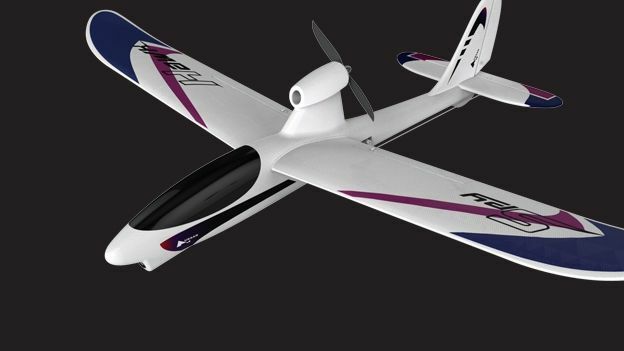 The Spy Hawk RC plane is now available to pre-order offering up what on the surface may be just another remote-controlled plane but instead is something much more advanced with an auto-assist mode and 5-megapixel camera on board. With a wingspan of 84cm the Spy Hawk is light, portable and comes with a 600m range and flying time of up to 30mins heavy acrobatics. On board there's a 5MP camera which then feeds live images down to a 3.5-inch high-resolution screen on the remote and thanks to a 4-channel system you can have more than one of them chomping air at the same time. Recording high-quality video and sound to a 4GB Micro SD the 5MP camera not only acts as an extra set of eyes for flying but can also record your adventures whether it's skimming over the tops of trees or scaring the living daylights out of poor unsuspecting relatives. Finally, in case you're not the Biggles you thought you were, there's an auto-assist mode which helps stabilise the plane plus the Sky Hawk is made from EPO crash-resistant foam which will take the wincing out of those unfortunately unplanned landings. Coming in at £245.95 the Sky Hawk will be landing at Red5.co.uk in early August.